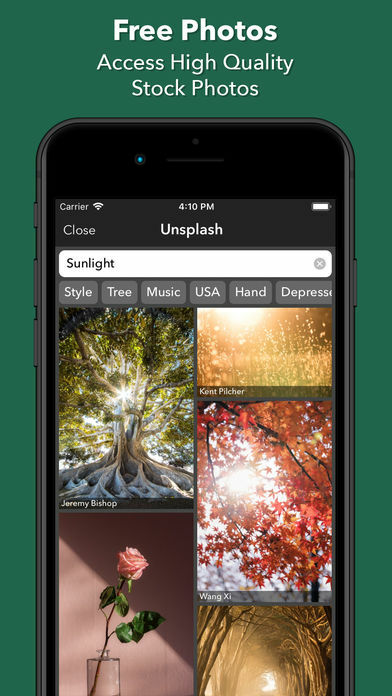 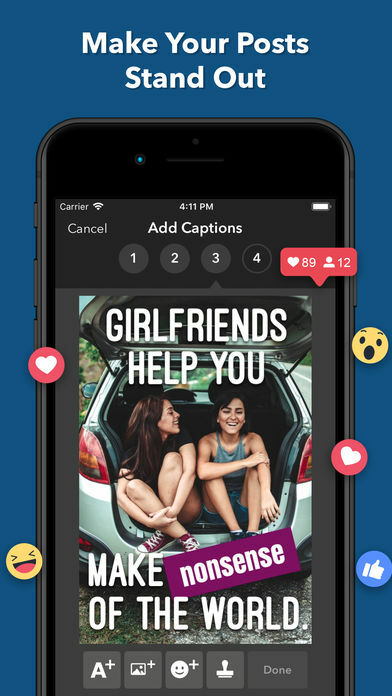 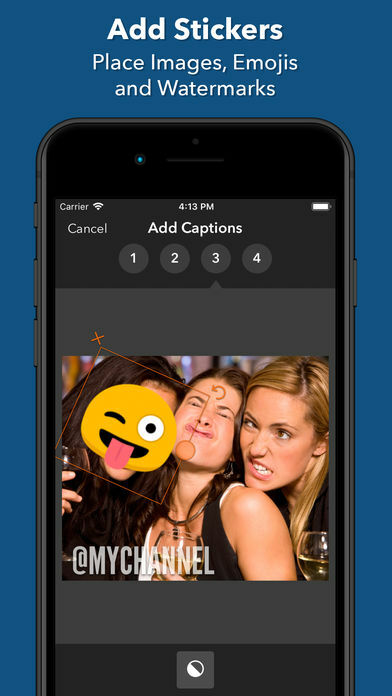 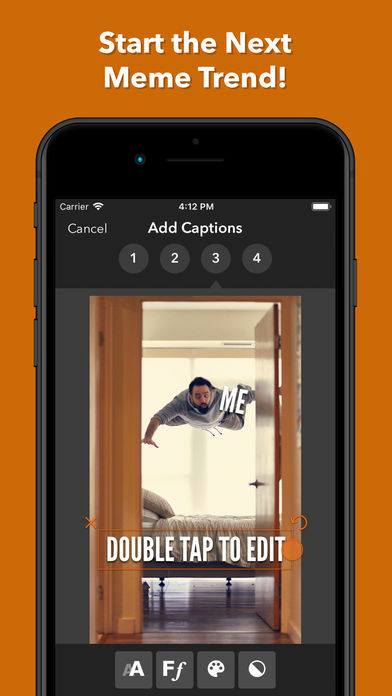 It’s fast and easy: With a few taps you can add captions to any picture and share them with your friends. 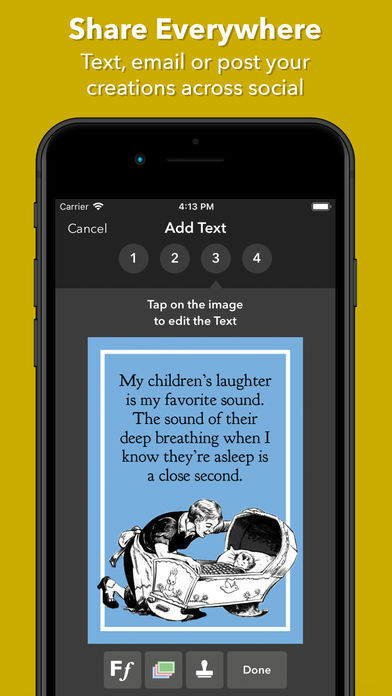 Create the perfect layout in Mematic – you can freely arrange text, images and stickers. 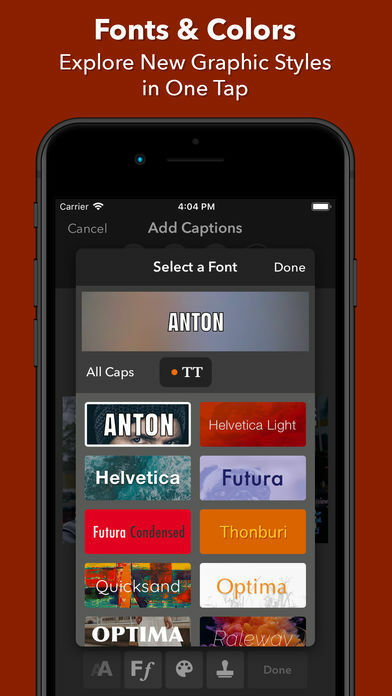 If you prefer, choose one of the quick styles to create modern and classic memes within seconds. 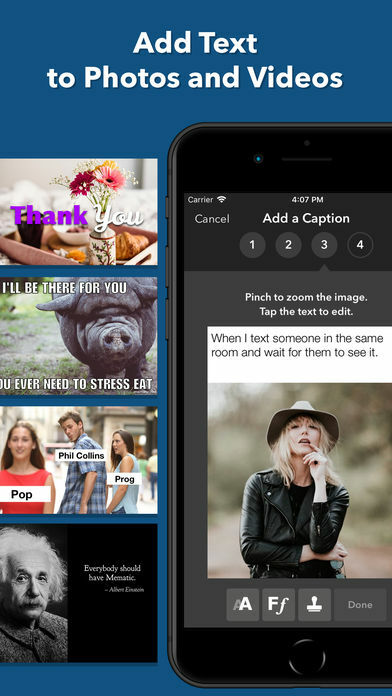 Share all your creations with your friends, directly from Mematic: Share on WhatsApp and iMessage, or upload to Instagram and Facebook within seconds – it’s super easy! 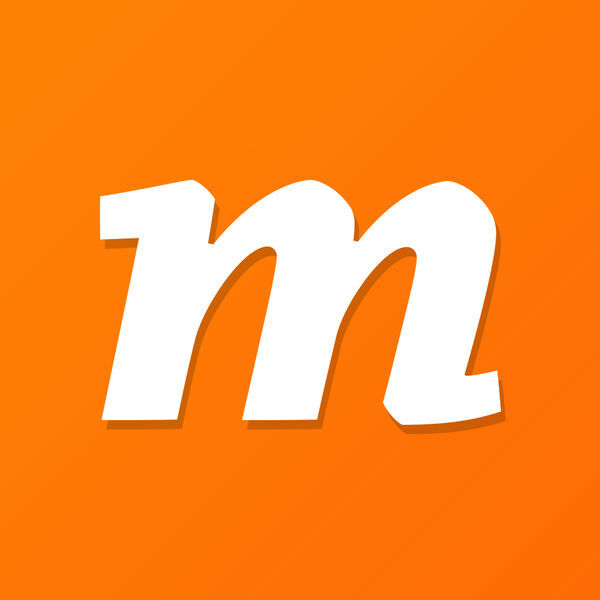 You can subscribe for unlimited access to all Pro features offered within Mematic. 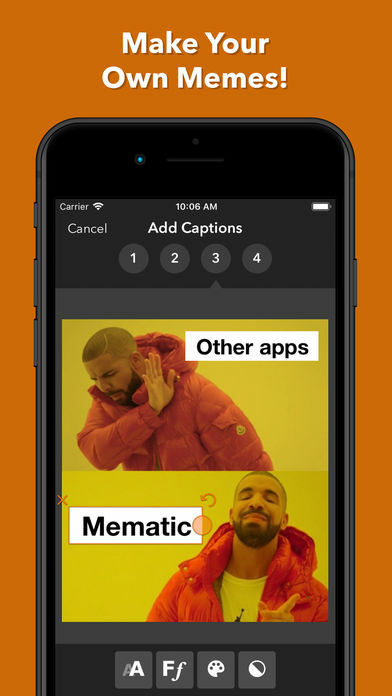 Subscriptions are billed monthly (“Mematic Pro Monthly”) or annually (“Mematic Pro Yearly”) at the rate selected depending on the subscription plan.